The Geemarc AMPLI550 is a multifunction corded telephone that has up to 52dB of extra incoming amplification with tone control for the ultimate in crisp, clear conversations. This particular model includes outgoing voice amplification up to 12dB for those with weaker voices to be heard a little better. The speakerphone will increase incoming sounds up to 15dB for a more easy to hear hands-free option. Customize the sound on your AMPLI550 phone to meet your hearing needs. Standard volume control offers a 30dB amplification. Simply press the "AMPLI" button for up to 52dB of crystal clear amplification. 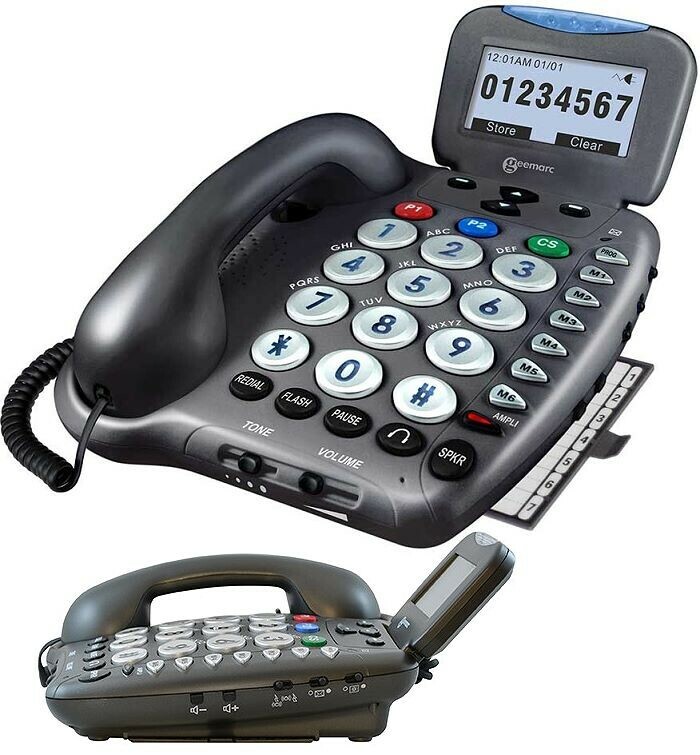 Talking Keypad and Talking Caller ID with large LCD display stores up to 99 incoming names and numbers with date/time stamp for each call. This telephone is also available WITH an Answering Machine.